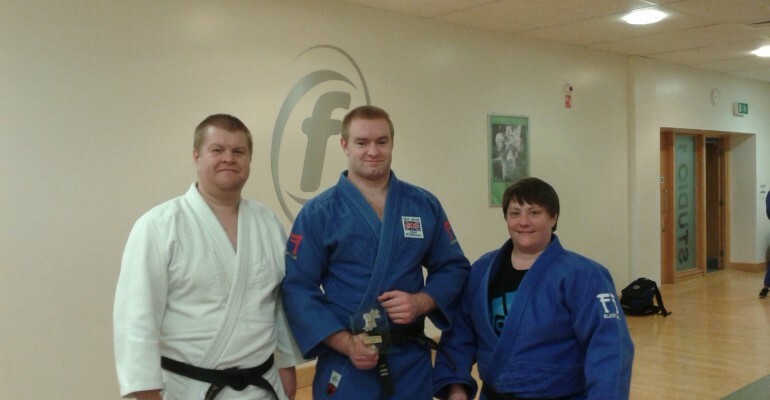 GLL Sport Foundation supported Judo athlete has had another strong performance this month. GB Senior Peter Vincent put in a great performance at the 21st A S Bondy International judo Tournament in Paris to take Silver in the heavyweight class. Peter, above centre, with Kin Ryu coaches and IJF referees Lisa Harrison and Martin Rivers had to work hard for his trophy with 6 fights overall. Peter had 3 tough fights to get out of his group and then went into the knockout stage. A great win over Reda Nafwa of Qatar, who had fought in the Paris Grand Slam the previous week, in the quarter final set Peter up with a semi final against a Georgian player who Peter threw for ippon. A close, all action final against French national player Pierre David ended in the last 15 seconds of the fight when they both went for an ippon throw with Peter just missing out on Gold. ‘That was a great competition and a taking Silver was a good way of celebrating my inclusion on the 2020/2024 GB Heavyweight Development Squad Programme. I was very pleased to fight and beat Reda Nafwa who has a lot of experience fighting players such as Teddy Riner, Barna Bor and Henk Grol’. We look forward to hearing about more of Peter’s competitions throughout the year. If any other athletes have results/photos from their competitions please e-mail them into gllsportfoundation@gll.org – we love to hear about them!